You do this for years. Man, if you could listen to a station based entirely on all the songs you've liked over the past third of your life, the experience would be legendary. Your ears would blow a load that drips slowly down both sides of your face. You would dance so hard that, without being taught, you realized you somehow learned to dance. That's the hope anyway. 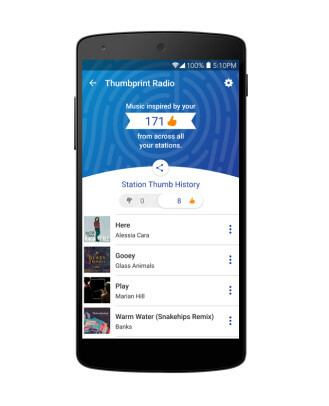 Pandora has introduced Thumbprint Radio, a station based on every song you have ever given a thumbs up over the course of your time with the service. You can now fire up the Android app and experience all that I've described above. Thumbprint Radio is more than a playlist containing all of your favorite songs. 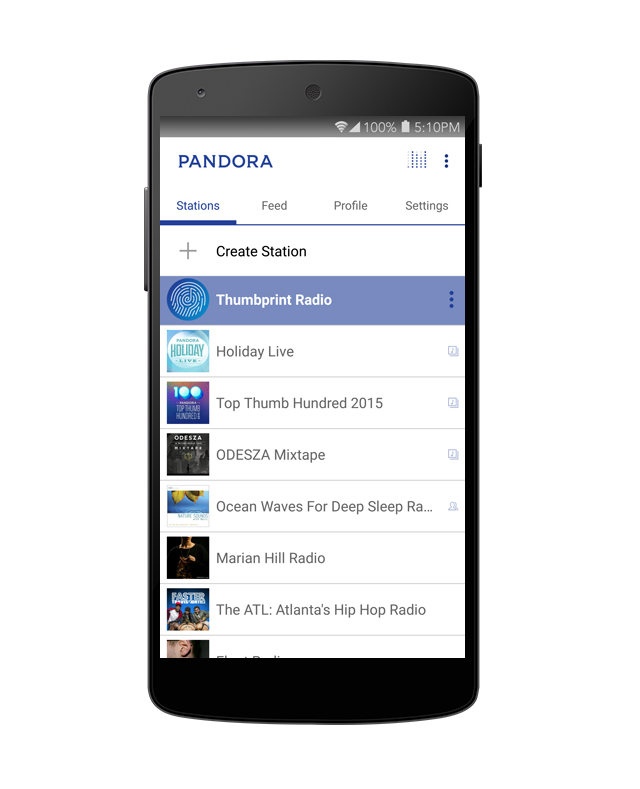 In typical Pandora fashion, you will hear tracks with sound similar to the music you love. You're not guaranteed to like it, but you probably will given how much data the music streaming site has to work with. You can share your station with others, and your friends will get updated as you approve more songs. Now for the new people, the folks who never hopped aboard the Pandora bandwagon. 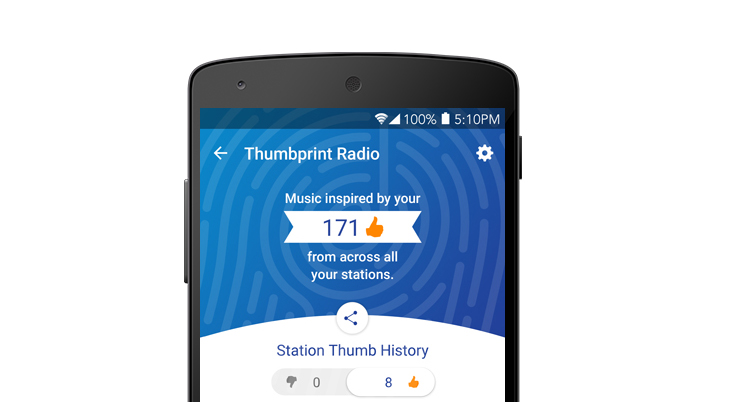 Thumbprint Radio isn't any good if you haven't provided it anything to work with. So your personalized station won't appear until you have created three stations with four liked songs each. The app is available in the Play Store below. You may start thumbing at any time.